Book of the Month February 2018 Selections: What Book Should You Choose? This post contains affiliate links and I will be compensated if you make a purchase after clicking on my links, but I’m also a paying customer. Welcome to my monthly feature “Book of the Month Selections: What Book Should You Choose?”! Every month, I provide commentary on the books that are chosen as that month’s Book of the Month selections that will hopefully help you choose your pick, and tell you which book(s) I’m going to choose. AND, I provide you with the most up to date version of my Ultimate Guide to the Book of the Month Judges with free, downloadable template (below). After skipping the past two months, I’m thrilled about the February selections! I’ve read (and loved) one and am partway through (and am really liking) a second. Book of the Month is also honoring Black History Month with one selection by an African American author (An American Marriage) and this month’s add-on (Salvage the Bones by Jesmyn Ward). Choose the best Book of the Month selection for you every time! If you missed it, check out my fun new tool to help you pick the best Book of the Month selection for your taste: my Ultimate Guide to the Book of the Month Judges and free, downloadable template to help you find your go-to BOTM judge! SPECIAL NOTE: The February selections have now been publicly announced and the judges who picked each book have still not been revealed as usual. This is odd. I have tweeted BOTM and emailed their customer service to figure out what’s going on. But, I remember receiving an email that they were making some changes to how they were announcing new selections. I don’t remember judges being specifically mentioned, but I suspect the missing judges have to do with this change. If you’d like to see them include the judges in their monthly selection announcements, email member.services@bookofthemonth.com. I have to believe the more people they hear from, the more likely they’ll be to include the judges again! Selected By: Oh no…BOTM didn’t include the judges this month! See special note above. Alaska, 1974. Cora Allbright and her husband Ernt, a recently-returned Vietnam veteran scarred by the war, uproot their thirteen-year-old daughter Leni to start a new life in Alaska. Utterly unprepared for the weather and the isolation, but welcomed by the close-knit community, they fight to build a home in this harsh, beautiful wilderness. 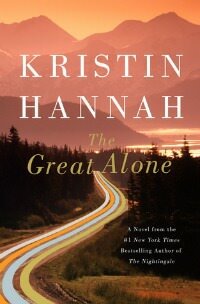 Many of you probably know Kristin Hannah from her previous novel, the blockbuster The Nightingale. Early reports are that her latest effort is excellent as well. I’m about 25% in and I love the focus on the Alaskan setting. Overall, I’m liking it, but it’s not blowing me out of the water…it’s definitely not fast-paced. Susie at Novel Visits was totally immersed throughout and loved the writing, the characterization, the storyline, and the amazing feeling for life in Alaska. However, she thought the ending “felt a bit forced.” Goodreads reviewers pretty much echoed Susie’s thoughts. Note that there are some triggers in this book that may be hard to read for some. UPDATE: I DNF’d The Great Alone yesterday at 37%. I just got bored and also got super frustrated with Cora’s decision-making. 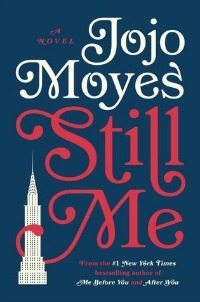 Still Me is the third installment of the Me Before You series. I loved Me Before You, but I haven’t read either of the second two books. Goodreads reviewers were either hooked from the very first line and loved it because they loved Lou and will read as much as they can starring her…or thought it was just okay and felt the series probably didn’t need another book. Vermont, 1950. There’s a place for the girls whom no one wants–the troublemakers, the illegitimate, the too smart for their own good. It’s called Idlewild Hall. And in the small town where it’s located, there are rumors that the boarding school is haunted. Four roommates bond over their whispered fears, their budding friendship blossoming–until one of them mysteriously disappears. . . . When Fiona discovers that Idlewild Hall is being restored by an anonymous benefactor, she decides to write a story about it. But a shocking discovery during the renovations will link the loss of her sister to secrets that were meant to stay hidden in the past–and a voice that won’t be silenced. Another thriller with “Girls” in the title…whoopee (that was sarcastic…)! This one is being billed as part ghost story, part suspenseful thriller and seems to be a departure from St. James’s other books. For anyone that normally doesn’t go for the paranormal stuff (me! ), Goodreads reviewers said that part is not overwhelming and I saw multiple reviews by people who said they don’t normally like paranormal, but did like this book. Goodreads reviewers also categorized it as “Gothic suspense” and said some parts are “dark and disturbing.” It’s gotten blurbs from Karen White (The House on Tradd Street Series, The Sound of Glass ) and Fiona Barton (The Child , The Widow ). Newlyweds Celestial and Roy are the embodiment of both the American Dream and the New South. He is a young executive, and she is an artist on the brink of an exciting career. But as they settle into the routine of their life together, they are ripped apart by circumstances neither could have imagined. My Thoughts: I was thrilled to see An American Marriage among these selections because it’s my favorite novel of 2018 so far! It tackles a number of weighty themes, but in a completely organic way. It’s about marriage, friendship, race, class, grief, incarceration, etc, but not overwhelmingly about any one of them (kind of like The Mothers). The writing isn’t “gorgeous” in the traditional sense, rather it’s casual, intimate, and has personality…and I loved it. The story builds gradually and the last quarter is absolutely riveting. Others’ opinions: Nicole Bonia from The Readerly Report Podcast also loved it, while Renee at It’s Book Talk (who I normally agree with, but didn’t in this case) didn’t. Warning: go into this book as blind as you can. The publisher’s summary revealed way too much in my view (I edited it out of the in this post). 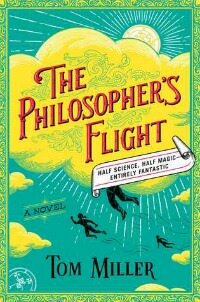 A thrilling debut from ER doctor turned novelist Tom Miller, The Philosopher’s Flight is an epic historical fantasy set in a World-War-I-era America where magic and science have blended into a single extraordinary art. Eighteen-year-old Robert Weekes is a practitioner of empirical philosophy—an arcane, female-dominated branch of science used to summon the wind, shape clouds of smoke, heal the injured, and even fly. When a deadly accident puts his philosophical abilities to the test, Robert rises to the occasion and wins a scholarship to study at Radcliffe College, an all-women’s school. At Radcliffe, Robert hones his skills and strives to win the respect of his classmates, a host of formidable, unruly women. Wow – this book sounds overwhelming. It’s a genre mash-up of Sci-Fi, Fantasy, Romance, and Historical Fiction…with some gender politics thrown in. It’s been compared to Lev Grossman (The Magicians ) and said to have elements of Harry Potter . Goodreads readers say it’s fun, has well developed characters, great world-building, and great writing, but is lacking in suspense and contains lots of jargon that tripped some people up. This selection is not up my alley at all, but maybe it’s up yours! What Book of the Month Club February 2018 selection(s) will I choose? I’m going to choose An American Marriage! I’ve already read it (in e-book format), but I’d like a hard copy for my shelves! Make your Book of the Month Club selections by Tuesday, February 6th. What book will you choose this month? NEW MEMBER DEAL: Anyone who purchases a new BOTM subscription will get their first month free! Use code YESPLZ. ANNUAL PAYMENT DEAL: BOTM is now a monthly subscription service. However, given that some members preferred paying upfront, they are now offering a 12-month option. Members who sign up for 12 months will pay $149.99/year. That’s $12.50/book, instead of the standard price of $14.99/month. 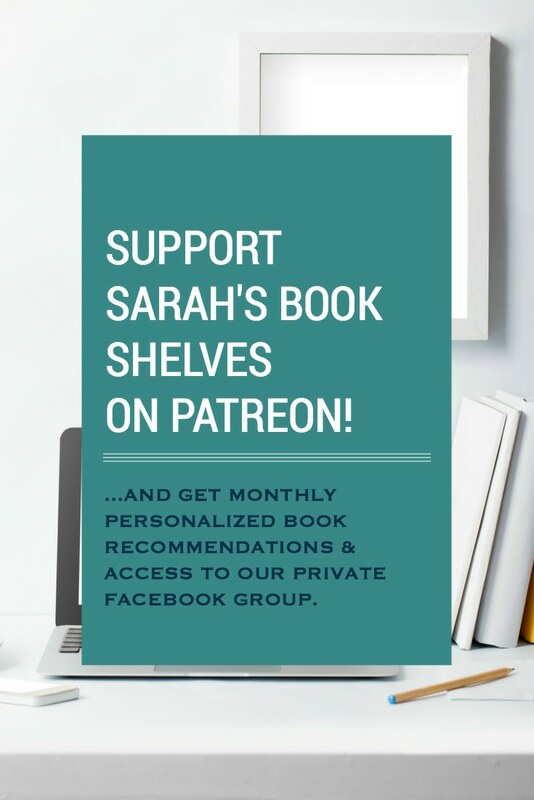 Book of the Month is a subscription service for people who like to try new books from a curated selection and like to read in hardcover format. Through Book of the Month, you can get a hardcover book for generally significantly less than you’d pay in a bookstore or through Amazon. And, you get to try something new that has been vetted by one of Book of the Month’s well-read judges! Sign up for any of the subscription plans below and you get to choose one of five books selected by Book of the Month’s panel of judges (including a surprise guest judge). Book of the Month will then mail your chosen book to your house with a cute note. You also have the option to purchase additional books for $9.99 each and to skip a month if you want. Sign up for a Book of the Month membership (NEW pricing below)! I love the “Selected By” note on each book. Point made! Why would BOTM stop telling who selected the book? It also seems like those who did the choosing would want to be recognized. Hopefully the situation will be rectified soon. Never-the-less, it looks like a good month, with a little something for everyone. There are a lot of good ones this month! Which is great to see because the last two were kind of “meh.” The new setup is so weird without the judges, I hope they bring them back! They are!! I saw a comment on their Instagram today that they’re bringing them back…didn’t say when. I already made my selection. Can’t wait too long…LOL! I picked the Kristin Hannah book. It was the Alaska setting that got me and I read an article she wrote about her family and their connection with Alaska. 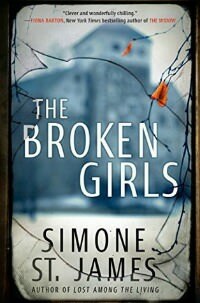 I already have an ARC of The Broken Girls, but I’m interested in that one as well. Lots of people are loving it…unfortunately, it wasn’t for me. Like you, I loved Me Before You but I had trouble getting into the second one and I think I’m going to have to pass on Still Me. I am so close to finishing The Great Alone; I was very enchanted by it, during the first half, but now my interest is beginning to wane. 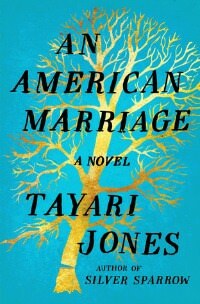 I am SO EXCITED to read An American Marriage; I have an egalley, but may have to pick up a hard copy, too! 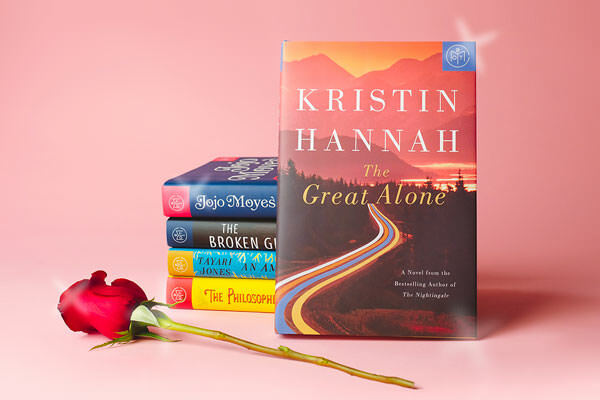 But this month I saw the new Kristin Hannah novel first thing and thought to myself “I know what I’d pick” and then I saw JoJo Moyes latest, which I also plan to read. But then I kept reading and loved the cover on The Broken Girls….and An American Marriage sounds interesting, especially after reading your comments. And then there’s The Philosopher’s Flight. Bottom line – I have no idea what I’d choose. But I AM choosing to add them all to my TBR! Ooh, this is an interesting selection. If I was rich enough to join BOTM, I would’ve picked The Great Alone. The Alaska setting is tempting. Have they stopped using the format of judges? I miss that aspect. They did…and I agree! BUT – so many people freaked out on social media that they said in their Instagram comments that they’ll be bringing them back. Yay!! I went with An American Marriage after seeing it reviewed in a lot of different places. I already read Salvage the Bones last year, and I usually add on a book (b/c i am a book hoarder of serious proportions) so I chose Goodreads 2017 best book “The Heart’s Invisible Furies. I ADORED Heart’s Invisible Furies…was my favorite book of 2017 by far! Hope you love it! I’m adding American Marriage to my reading list. I’m not huge on literary fiction, but this one sounds too good to pass up. It really is – I hope you love it! I thought An American Marriage was pretty good. I look forward to trying Broken Girls as well. Did you see it was just picked by Oprah?